Padding is a critical flooring component. It’s the foundation for your carpet, responsible for enhancing both comfort and durability. Padding is constructed of several different materials. 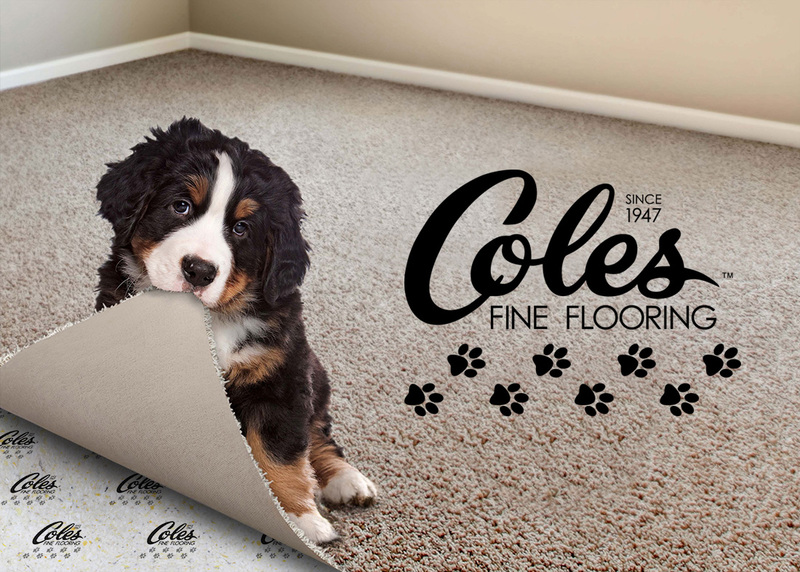 Coles will provide you with the correct padding to meet all your warranty requirements for your carpet selection. All carpet warranties require that you select padding with appropriate thickness and density to handle the traffic on the carpet. Using carpet padding can improve the durability and comfort of the floor, in addition to adding to its lifespan. It can reduce carpet noise. A carpeted environment is quiet, but a carpet installed over padding can reduce noise even more. In tests comparing padded carpet to unpadded carpet, padded carpet significantly reduces noise. Weak padding is unable to keep traffic from causing a noisy clomping sound as footsteps pound against the floor. But a substantial padding softens the blow and makes walking quieter. It makes carpet more comfortable. Tests show that quality carpet padding can reduce the force on the floor covering caused by walking. This can improve personal comfort by reducing walking fatigue. Good quality padding acts as a shock absorber when you walk on carpet. If there isn’t a substantial padding under the carpet, the carpet is hard, unyielding, and uncomfortable to walk on. But a good grade of padding keeps the heel of your foot from crashing through the carpet and hitting against the floor. The pressure of walking is much higher than most people realize. In the case of women’s high heels, it can momentarily be hundreds of pounds per square foot. Without a good quality padding, this is tough on the carpet and tough on your feet. It makes vacuuming more efficient. Vacuuming is more efficient since most machines “lift” the carpet to provide air circulation, and the padding improves air flow through the carpet. This can help reduce the grinding action of embedded dirt that can cut and fray carpet fiber. The most important thing you can do to prolong the life of your carpet is to give it a good vacuum cleaning often. Dirt grinds down carpet fiber the way sandpaper wears down wood, and thus shortens carpet life. A powerful vacuum is a carpet’s best friend. And quality padding makes cleaning more efficient, because it raises carpet off the floor and provides an air space underneath, so the carpet can “breathe”. When you vacuum, good quality padding lets more air come up through the carpet, carrying more dirt along with it. The result is more effective cleaning every time. Carpet padding provides insulation qualities. Good quality padding makes any room feel warmer. Working in combination with the carpet, quality padding prevents heat loss through the floor. It makes all carpet more comfortable to bare feet and everybody walks around barefoot sometimes, particularly when getting dressed in the morning, and undressed at night. The thicker the padding, the higher the value. And when the floor is concrete, such as in finished basements or in homes built on slab foundations, the insulating properties of high-grade padding are indispensable. COLES TIFFANY Carpet Padding is the most luxurious carpet cushion your toes will ever meet. It holds nothing back when it comes to comfort and performance. This exceptional cushion also is designed for healthy living: it protects against the growth of mold and mildew, shuts out pet odors, offers amazing noise suppression, and keeps spills from damaging your floor. Carpet padding is generally vastly underrated. The right padding can provide a lush, comfortable feel and also extend the life of your carpet and protect the floors underneath. Coles Tiffany carpet padding was designed to do just that. Bonded carpet padding is one of the most popular types of carpet underlayment. An excellent value, bonded padding provides outstanding performance and comfort. Bonded padding is composed of new foam that has been recycled from other manufacturing operations such as furniture, bedding, and automotive, thus helping to reduce landfill waste and improve our environment. Not all bonded cushions are the same, however. Unlike many padding manufacturers, Coles suppliers have invested heavily in state-of-the-art technologies that segregate, separate, and filter the recycled trim material before making carpet padding. This ensures that only premium quality raw materials go into our bonded products, maximizing performance. Bonded carpet padding acts as a barrier between the carpet and subfloor, allowing fibers to bounce back and retain their appearance. It improves insulation and helps keep your room at the desired temperature and also absorbs sound and helps reduce noise. You have to feel this pad to believe it. It’s almost as soft as the carpet itself, and together they make a great team. If you’re reading this, you may be considering a wool carpet. If so, why would you want to put anything synthetic underneath it? Try a sample and you’ll see why this is the best way to protect your carpet and provide the comfort you’re looking for. If you have allergies or chemical sensitivities, this is as pure as it gets. Naturally flame-retardant — difficult to ignite due to higher ignition temperature; wool contributes less to smoke or toxic gas formation, compared to synthetics. Improves carpet acoustical properties — carpeted environments are quiet because the pile surface absorbs surface noise; carpet installed with a carpet cushion makes the room even more quiet. Check with your Coles Designer about other padding for special situations. You can count on getting the best advice from our Flooring Professionals.